Smartwatches are trendy. It seems that everybody wants his/her watch to talk with an iPhone or an Android smartphone to tell us when there's a new e-mail or a new Facebook post. And there's more: a nice smartwatch should also connect with other fitness gadget to monitor our health and sport activities. Your geek friends will tell you that everything started with the Pebble, but now many big consumer electronics brands are thinking about smartwatches. Samsung already launched its own, Apple is rumored to do the same in the next months. We like when companies create new useful products, but we're happier when commercial products are followed, or even anticipated, by open projects. Because we believe that open projects always give other Makers a way to develop their own products: sometimes they're better and sometimes not, in any case they can be customized for specific needs, something mass production can't do. Smartwatches are still in their infancy, but there's already an open project for that: it's called Open Source Watch and it's based on a cornerstone of open hardware, an Arduino-compatible board. Open Source Watch - or OSWatch - was designed by Jonathan Cook using four main components: intelligence (it's a smartwatch, after all) comes from a Microduino Core+ board with an ATmega processor, wireless communications are handled by a BlueGiga Bluetooth LE module, the "visual" part is a monochromatic OLED display. This display can be replaced with a LCD-eInk or a color OLED panel: the choice depends on the amount of information we want to show and the battery life we want to get. 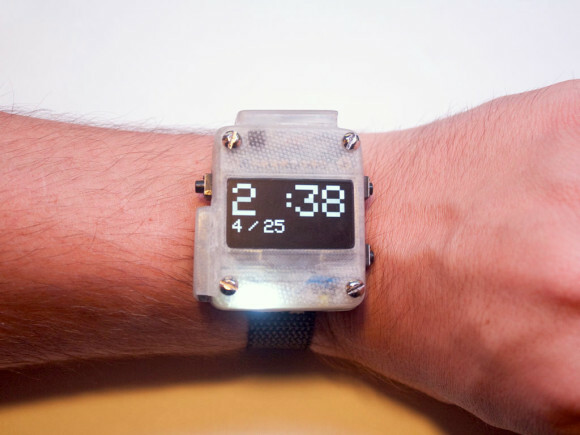 The last component of the OSWatch is its case, which can be 3D-printed. 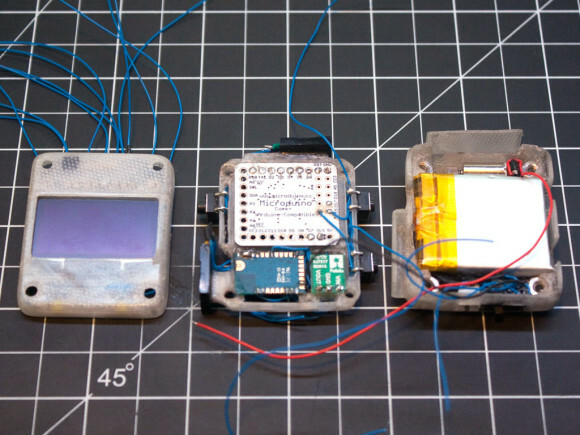 On the project website there's a step-by-step guide detailing how to assemble an OSWatch. It's not for beginners, since it requires good soldering and cabling skills, even to modify the Microduino board to make it use less energy, but open hardware veterans can get a few hours of (challenging) fun. What can they modify and customize? Everything, actually. We have the Arduino code for the board, the iOS code for the companion app which must be running on an iPhone (Android version coming soon) to "talk" with the OSWatch, the STL files to print the case. If you have the necessary skills, building your own tailored smartwatch shouldn't be too difficult. And maybe, why not, it's your chance to start a new smartwatch line to sell here on MakeTank.